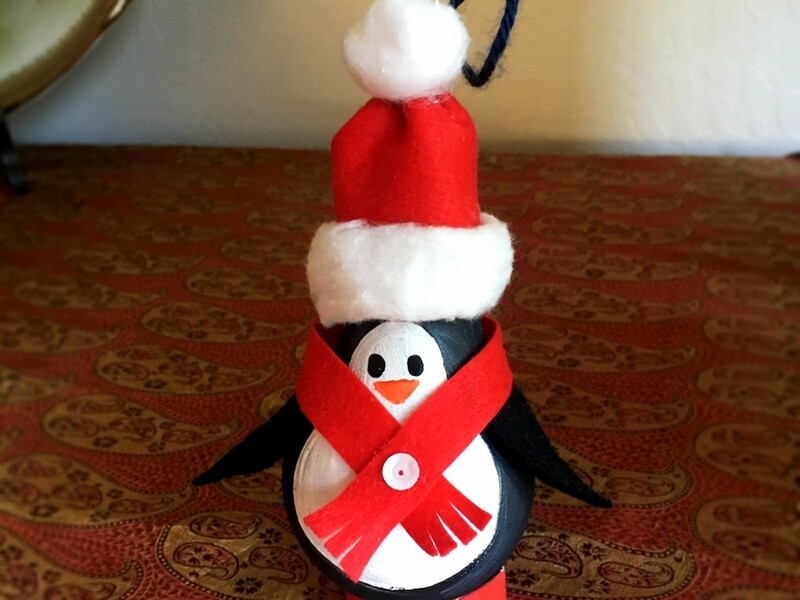 Here is a very cute craft project for one of those incandescent light bulbs you have been saving. 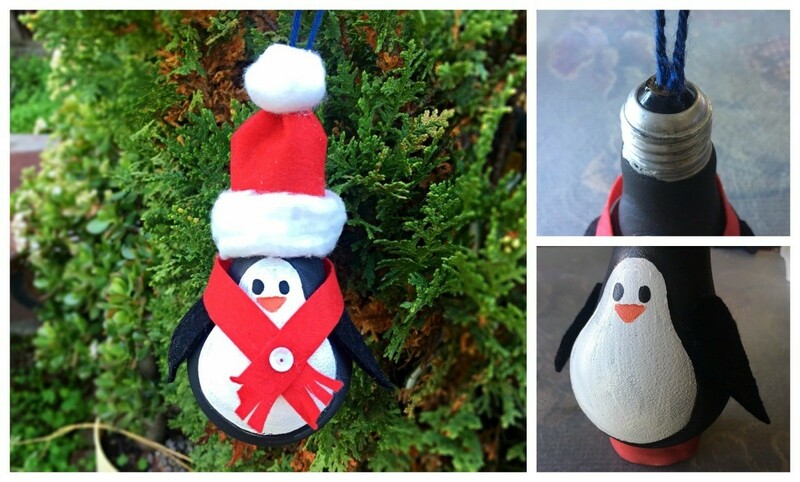 This guide shows you how to make an upcycled light bulb penguin. Light bulbs that burn out make for fantastic crafts. 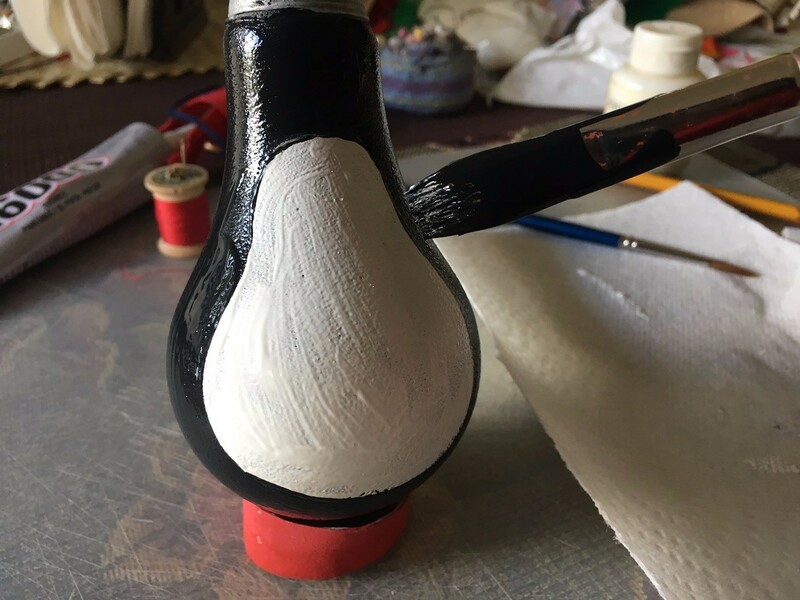 Here, I've painted an old useless light bulb to look like a penguin, then wrapped it in some felt scraps and cotton balls so he's ready for the holidays. 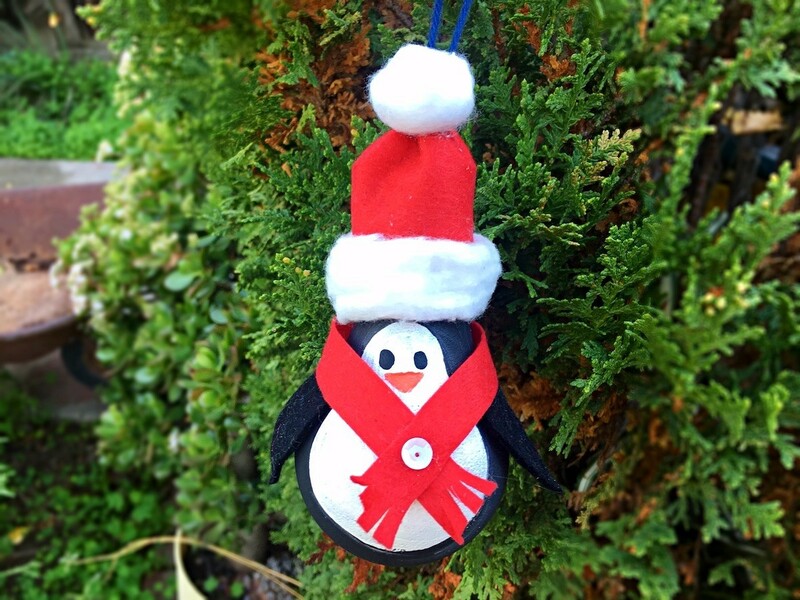 A simple piece of yarn glued to the top will make this a great ornament on your tree! 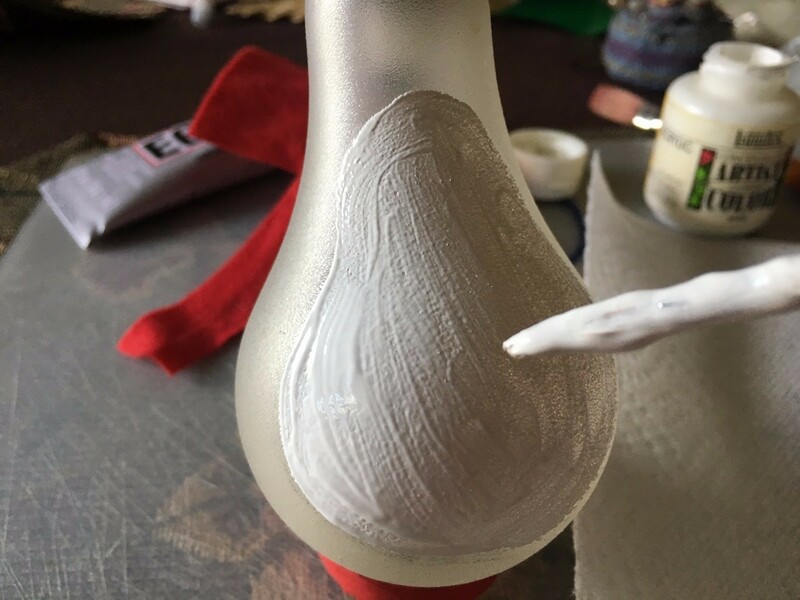 Tip: I used a 1/2 inch ring cutting from a cardboard tube to sit the lightbulb on in order to paint it evenly and not have it move around. 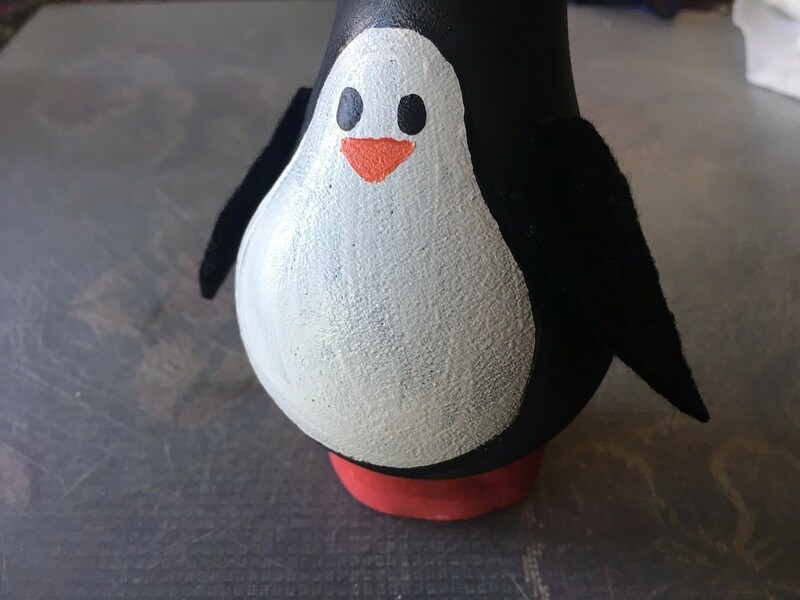 Start by drawing a light outline of the penguin's face and tummy area where you will be painting white. Fill the tummy area in evenly with white paint. 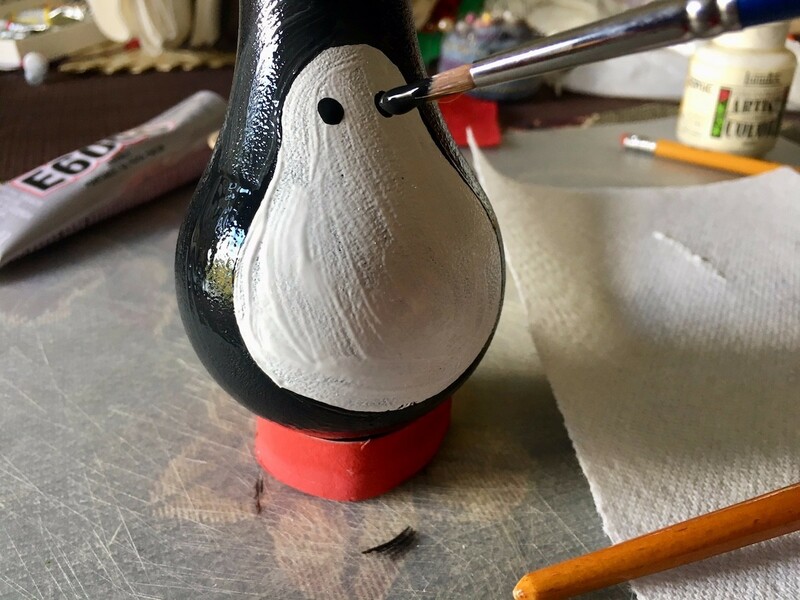 Paint the rest of the bulb black. 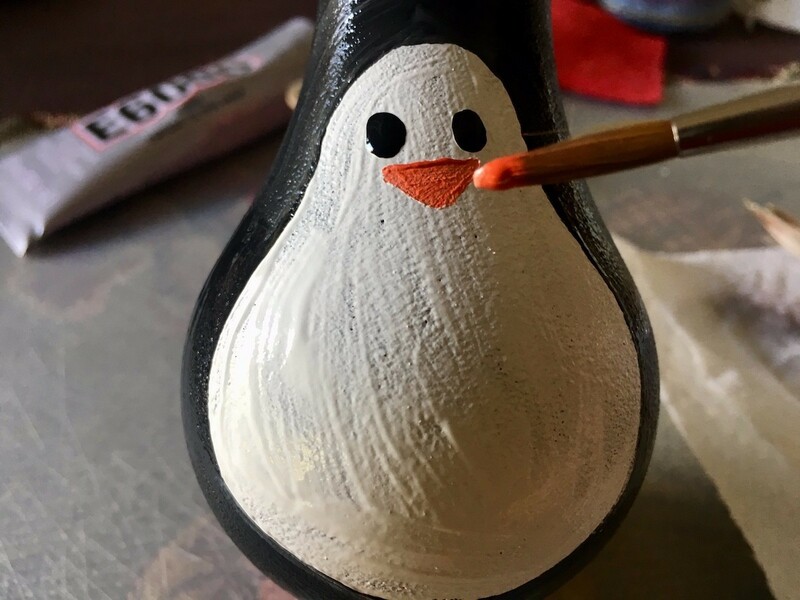 When the white paint dries, draw two little black dots for eyes. Paint on an orange triangle for its beak. 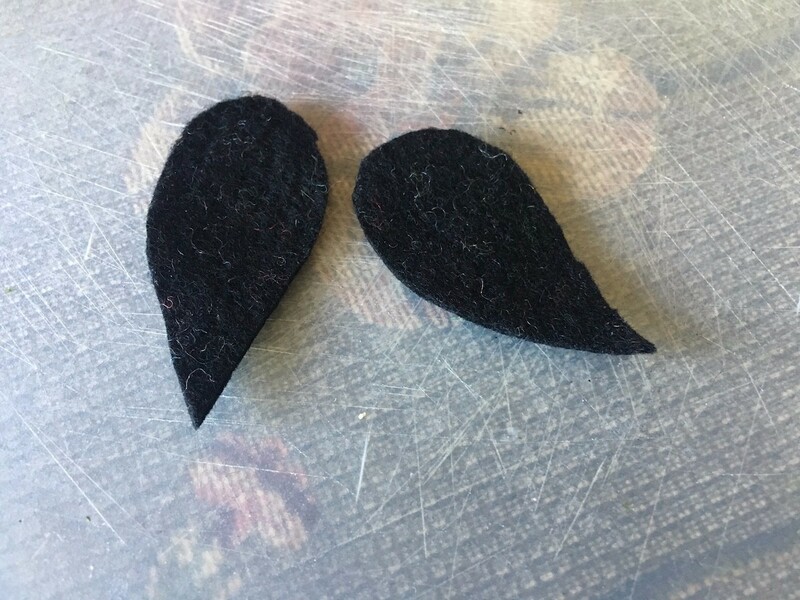 Cut out two small black teardrop shapes as the penguin's flippers. Attach to the sides of the body with craft glue. 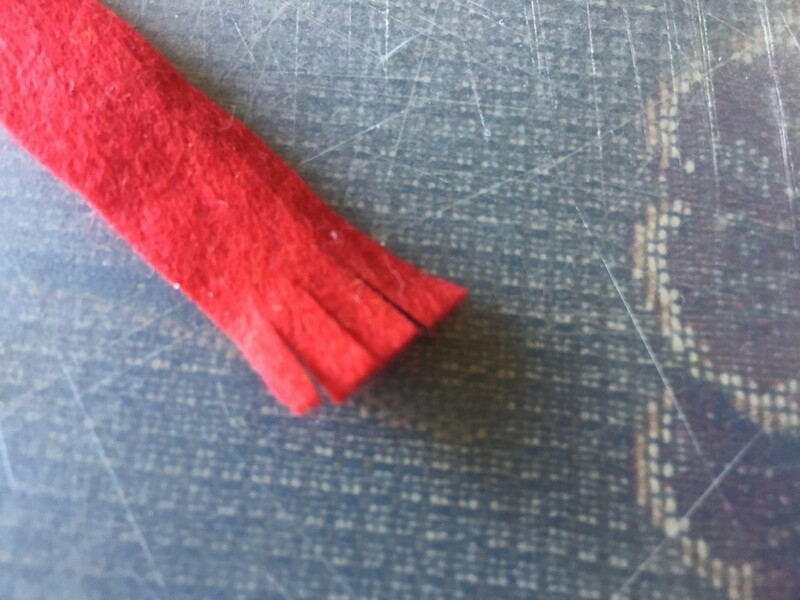 Cut out a long thin strip of red felt and cut both ends 3 times. This will be its frayed scarf. 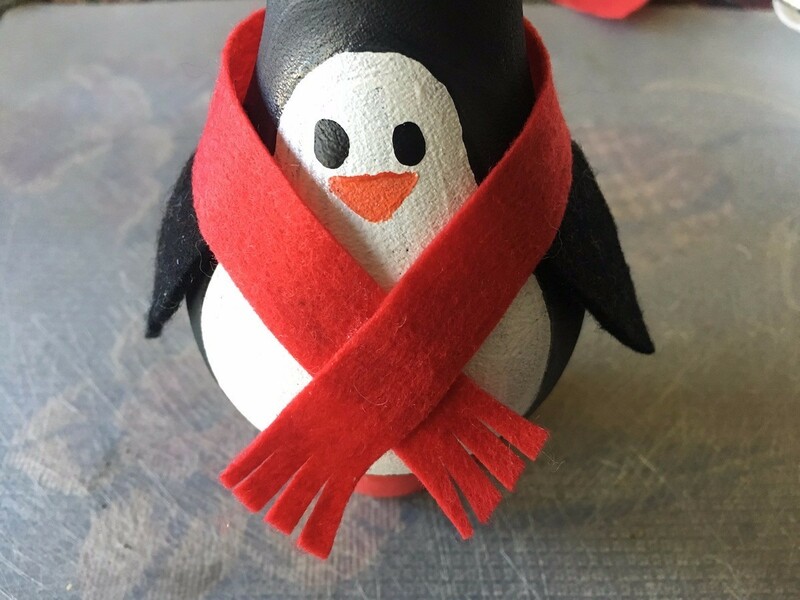 Glue the scarf around the penguin, hiding the tops of its flippers. 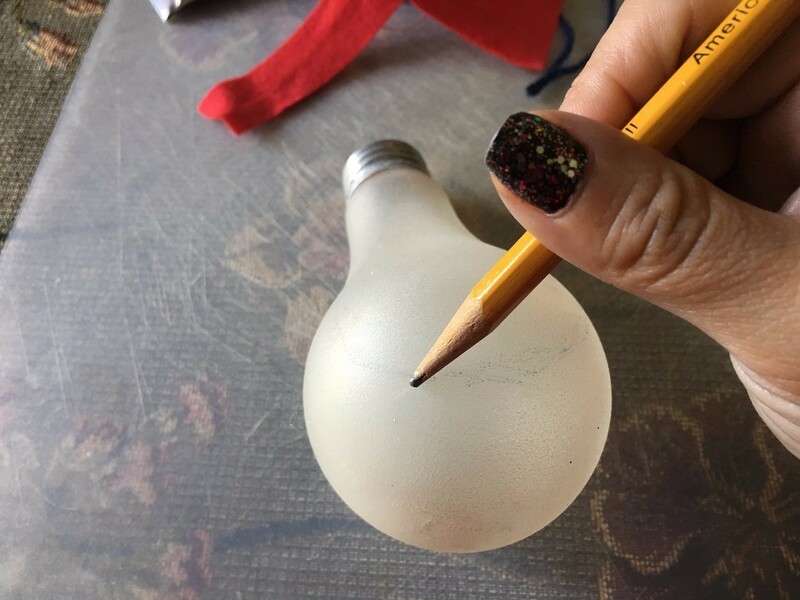 Glue the a loop of yarn to the top of the lightbulb and allow to dry fully. 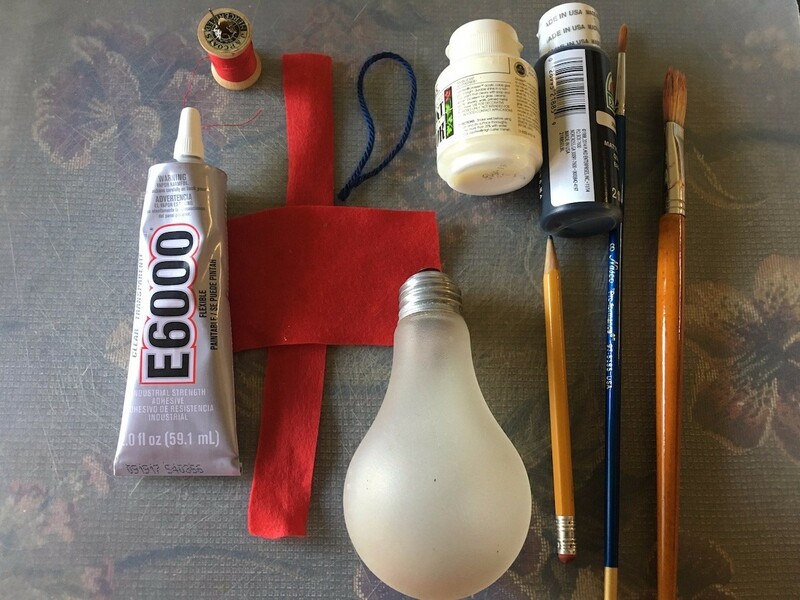 Cut out a piece of red felt long enough to wrap around the top of the lightbulb. 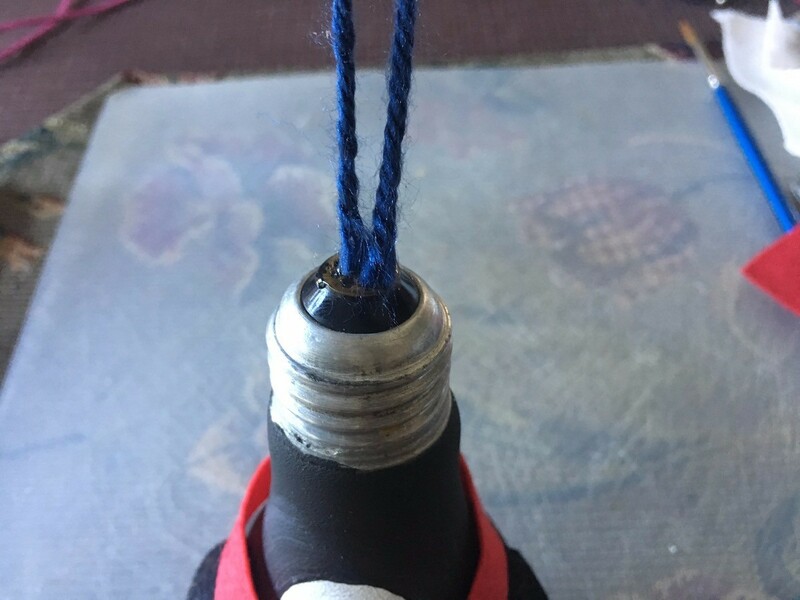 Pull the loop of yarn out from the top. 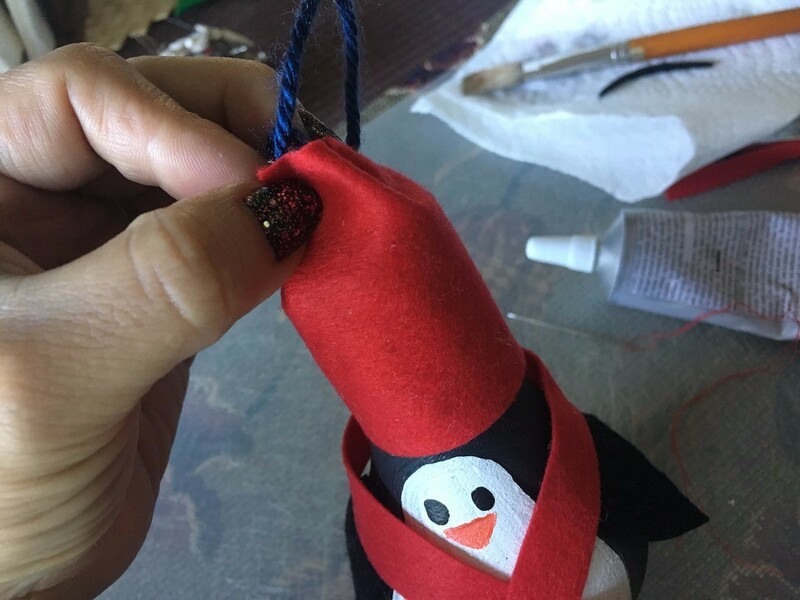 Pinch the top then use your needle and thread to sew the top shut in a cone shape. Glue a cotton ball to the top of the hat. 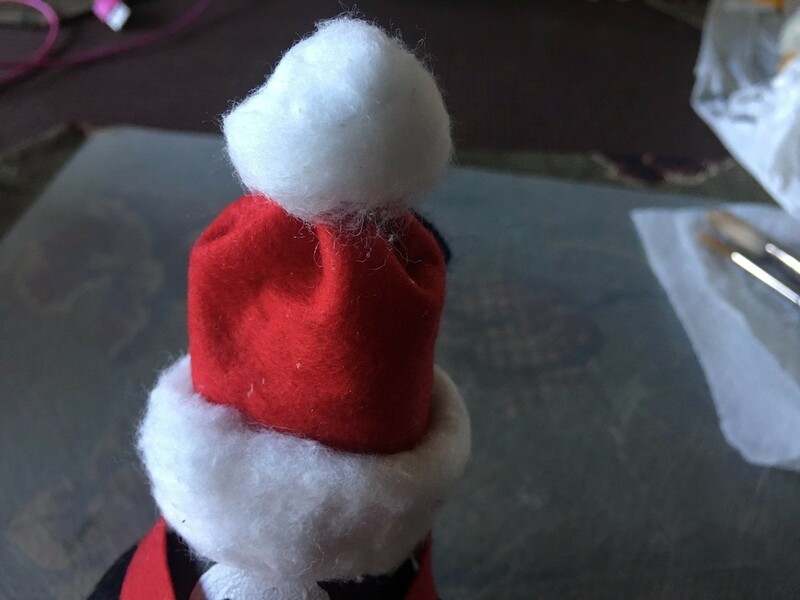 Unravel another cotton ball and wrap it along the base of the hat, gluing as you go around. Add an embellishment to the front of the scarf if you like. You can leave the penguin propped up in the cardboard tube ring, or use the loop to hang it from your tree. Happy holidays! Thank you so much, Benetta!!! It's cute. A keepsake to hand down, for sure.